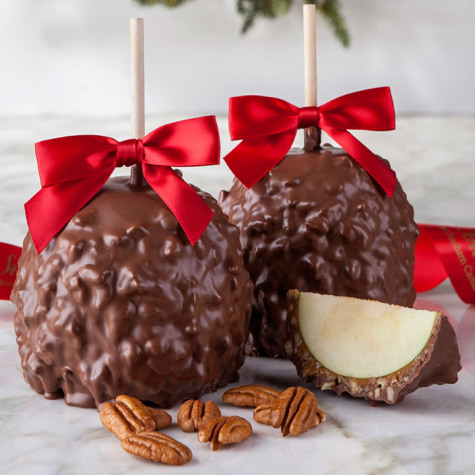 Our Pecan Caramel Apples are amazing. And, it's not just Tim and I saying that. Our customers rave about them, too! 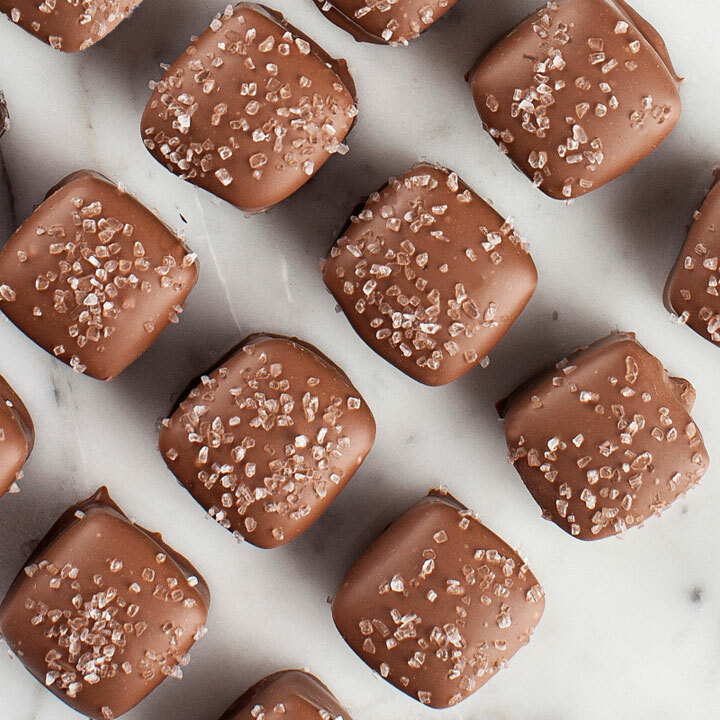 We smother jumbo apples in our creamy, homemade caramel, drizzle them with Georgia pecans and dip them in milk chocolate. Each apple is individually wrapped for gifting or sharing. *****Apples are highly perishable with a 7 day shelf life. All apples are shipped in specially designed shipping coolers with cold packs and must be refrigerated upon receiving. During the summer months, Apples must Ship Next Day air to assure they do not melt and we will only ship apples on Monday - Thursday, to avoid weekend transit delays. 2 individually wrapped Granny Smith Apples with caramel, Milk Chocolate and Pecans. Packaged together in one gift box. The apples are large and juicy, then add the buttery caramel, pecans and chocolate--heaven!! 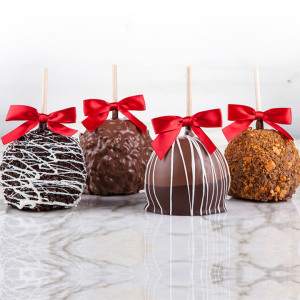 Love, Love, Love the milk chocolate, pecan, caramel apples, order them every year!!!!!!!!! They are AWESOME!!!!!!!!!!! Best caramel and chocolate around! As always, the apples we ordered from you are scrumptious! They never disappoint! The chocolate and pecans compliment the caramel for a tasty bite! 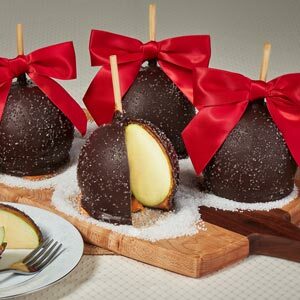 HUGE delicious, tart apples surrounded by caramel, pecans and chocolate -- perfection !! The apples were absolutely wonderful. Apples crisp and the chocolate wasn't too sweet.